The drama of Hopper’s painting, says Michaels, suggests meaning but resists understanding. The same can be said of “Man Carrying Thing,” which is why Michaels emphasizes the poem’s first sentence, “The poem must resist the intelligence / Almost successfully.” Beautifully, even oracularly, Michaels summarizes: “whatever is isn’t all there is, for there is everywhere only the weight and particular density of ubiquitous nothingness. The nothing that isn’t always there” (Michaels). In his own prose and with expert brevity Michaels explored the weight and density of ubiquitous nothingness. The title of one of his collections – not to mention the stories therein – infers deep and heartbreaking longing to confront the nothingness that isn’t there: I Would Have Saved Them if I Could (1975). When my uncle Moe dropped dead of a heart attack I became expert in the subway system. With a nickel I’d get to Queens, twist and zoom to Coney Island, twist again toward the George Washington Bridge—beyond which was darkness. I wanted proximity to darkness, strangeness. Who doesn’t? The poor in spirit, the ignorant and frightened. My family came from Poland, then never went anyplace until they had heart attacks. The consummation of years in one neighborhood: a black Cadillac, corpse inside. We should have buried Uncle Moe where he shuffled away his life, in the kitchen or toilet, under the linoleum, near the coffeepot. Anyhow, they were dropping on Henry Street and Cherry Street. Blue lips. The previous winter it was cousin Charlie, forty-five years old. Moe, Charlie, Sam, Adele—family meant a punch in the chest, fire in the arm. I didn’t want to wait for it. Commensurate with the philosophical depth of his essay, Michaels’s story (indeed, his stories) moves through plot toward climax such that no exact answers are arrived at or even touched upon in a concrete way. His denouements make Joyce’s epiphanies feel like a sledgehammer over the head (see “Araby”). With Leonard Michaels, the reader clings to the protagonist’s back, follows the story from a point of strange uncertainty through a recognizable bizarreness of everyday life, not to a place of understanding but the feeling that stuff has changed, been altered, and, what’s more, that it will somehow be altered again. The profane material world of our eyes, ears, mouths, noses, and hands as well as methodologies that trust only these bodily tools alone are, by this regard, limitedly intelligent. Like Hopper and Stevens and Plato before, Michaels is fascinated by “what isn’t available to our senses” (Michaels). “Murderers” ends in the wake of a tragedy I won’t reveal here. I will say the characters do not discuss the tragedy. Which is telling – silence is the response and explanation. Read “Murderers” and then read everything by Leonard Michaels you can find. Three of his stories are online at The New Yorker, where you may also listen to Rivka Galchen read “Cryptology.” Recently, FSG reissued most, if not all, of his previously published works in separate collections of essays, short fiction, and longer stuff. Wyatt Mason, David Bezmozgis, and Shalom Auslander have also written about Michaels. 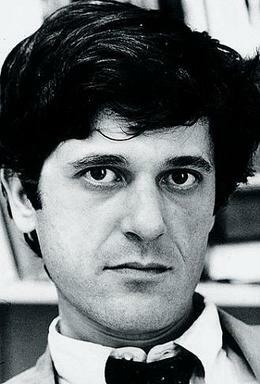 Michaels died in 2003 at the age of 70, having experienced moderate celebrity as a writer, mostly due to his resistance to stardom and his devotion to smaller presses. Melville wasn’t appreciated until the 1920s and he died in 1891. “Literary” communities and conversations happening online care about Michaels to some extent; I’d say quite a bit. Maybe there’s greater attention coming his way in the years ahead.